Stylish bouquet in pink shades. This traditional cone wrap bouquet is made using fresh seasonal flowers. The traditional style has the flowers and foliage staggered to showcase each individual bloom to its best. 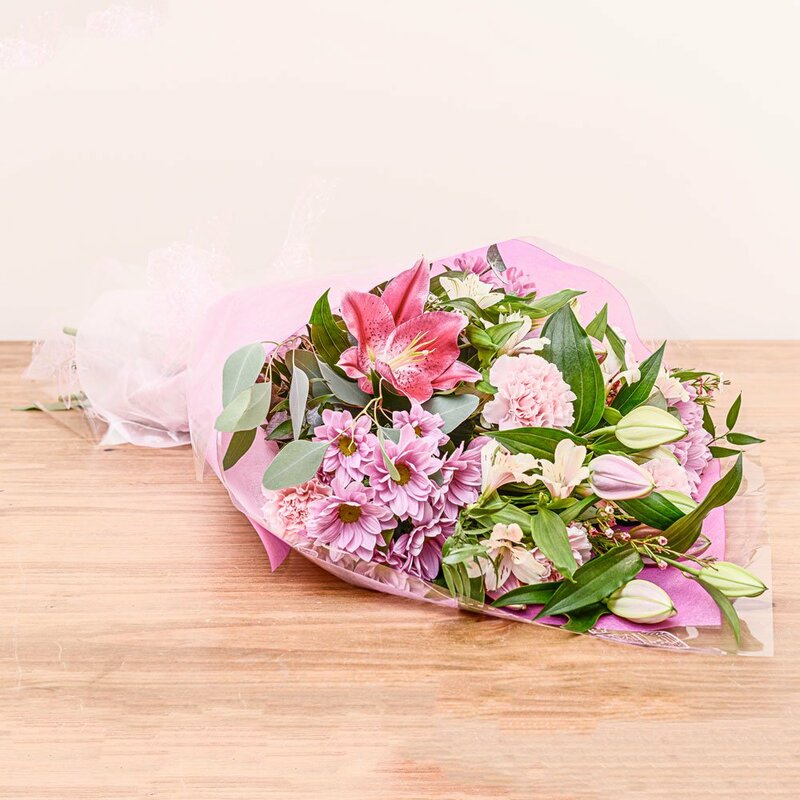 Made using a variety of seasonal flowers including chrysanthemum, carnations and lily this bouqet is sure to delight. Want different colours? Just get in touch and we can accommodate your needs. The perfect birthday, anniversary, new baby, thank you or just to say gift. Add chocolates or balloons with your flowers for an extra treat.